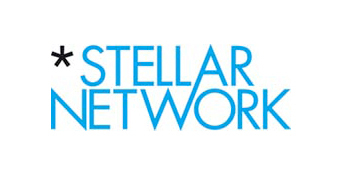 Stellar Network’s collaboration with the University of Roehampton designed and implemented a pilot development programme for the company’s pool of creative talent. In aid of this goal the collaboration organised a two day workshop at a space within the University of Roehampton’s Department of Drama, Theatre and Performance. Over 100 applicants applied to take part in the event, with a group of nearly 20 writers, game developers, creative technologists and directors were selected. The event was divided in two key stages. In the first part a series of workshops hosted by leading practitioners in digital storytelling, game design, interactive performance, and project design and management. The second stage of the event saw the participants divided into four teams and challenged to rapidly respond to a brief given to them by one of four cultural sector partners: Harper Collins, Visual Editions, the London International Festival of Theatre and the National Trust. The teams responding to the briefs from The National Trust and Harper Collins were extremely successful presenting a coherent and innovative vision. Since the event Harper Collins has proceeded with the prototyped project giving it a budget to be properly implemented and turned into a commercial product. Another byproduct of the award has been the partnership of the Stella Network with the University of Sussex on a AHRC Care for the Future application.